Brevard County of Florida U.S.A.
Brevard County a long and narrow state of Florida runs seventy miles from just north of Mims to Sebastion ,along Florida's east coast that boarder's the Indian River lagoon and Atlantic Ocean waters. You probably know Brevard County as home to the Historic site of NASA'S John F. Kennedy Space Center located on Cape Canaveral. This site draws tourists from around the world to learn about NASA and the astronauts launching Space Shuttles into space and onto the moon. Brevard county is also home to one of the largest concentrations of Manatees in Florida. You will see Manatee and Dolphins playing throughout the Indian River Lagoon's waterway. These animals are protected in restricted zones with speed regulations that are enforced by the Florida Marine Patrol. You will also see formations of brown Pelicans flying in formation hovering just above the Indian River Lagoons water's surface in search of fish to eat. There are too many birds and animals ,even American Alligators ,to mention that live in Brevard County but you can visit a mass majority of them at Merritt Island National Wildlife Refuge. In winter White Pelicans fly here from the American northwest. Seeing these white Pelicans with the black tips of their wings flying, twenty birds in a line, is really a sight to behold. It is awesome and something I always looked forward to seeing come December in Brevard County. However it is the fishing I am going to write this hub about. 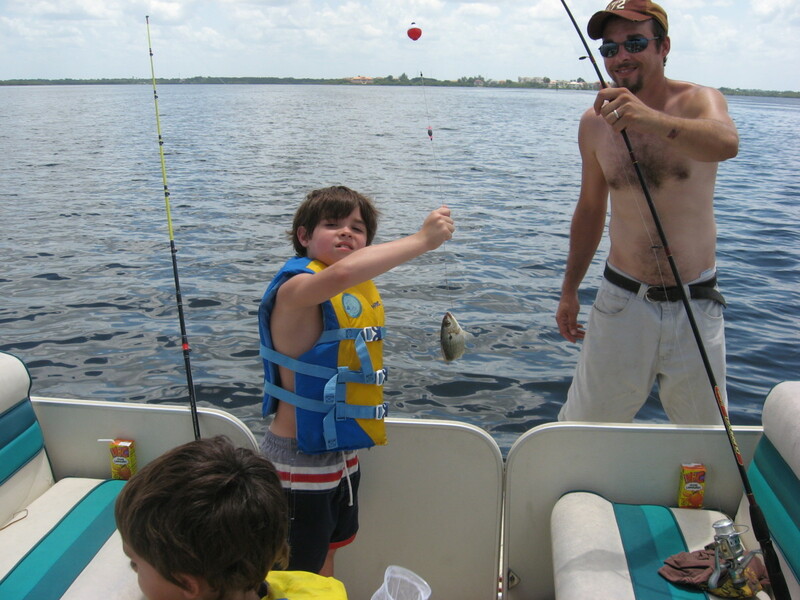 The main activity to draw the tourist in Brevard County is boating and fishing. 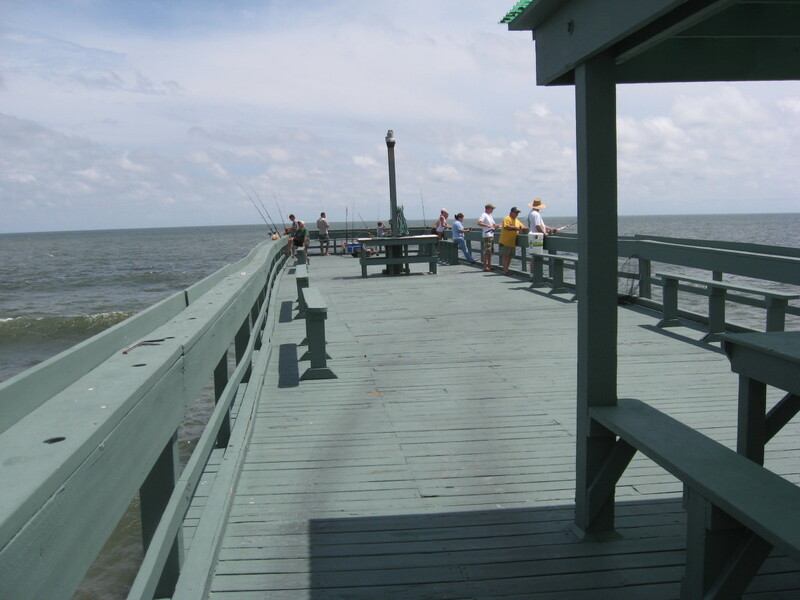 Every year thousand of people flock to Brevard County of Florida to fish, blue crab,clam,oyster,and shrimp. If you are a resident of Florida you don't need a fishing license to fish from land or a dock attached to land. 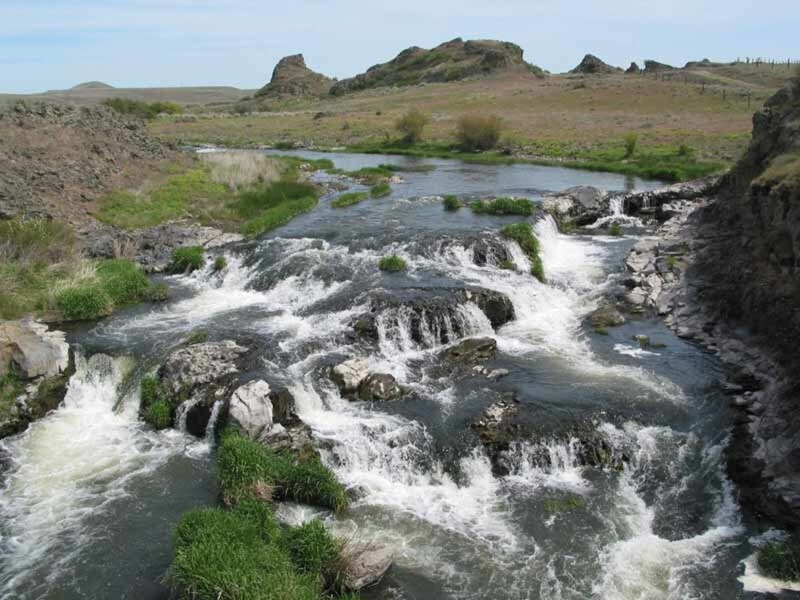 If you are from out of state you need to know the regulations for fishing and get a fishing license. I owned a mobile home in Palm bay, Brevard County Florida that was situated right on the shores of the Indian River Lagoon for a period of ten years. 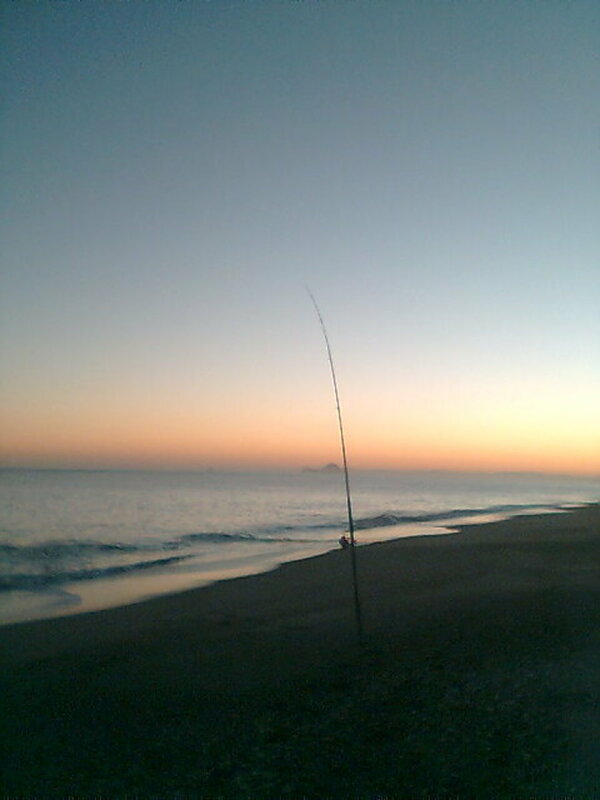 I fished all the time either from my fourteen foot john boat , under causeways, brackish waters, surf fished the Atlantic Ocean on Melbourne Beach and also fresh water fished the inland lakes and rivers. 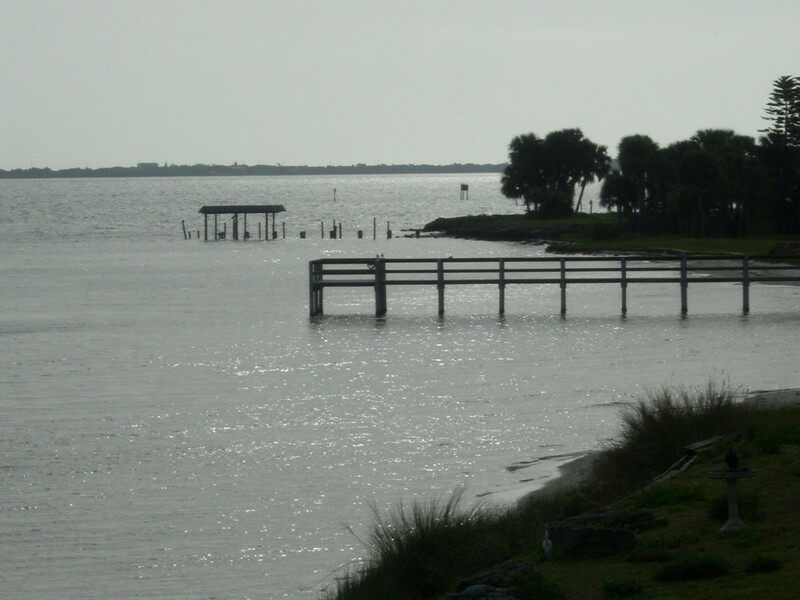 Brevard County Florida is a treasure trove of fishing opportunities. Salt water fishing is like treasure hunting. You might not know what you have caught until the fish breaks water or you reel it in. I have reeled in Hammerhead Sharks off the Cocoa Beach Fishing pier. I have caught black tipped sharks from my boat anchored off the spoiled islands near the shores of Micco Florida. 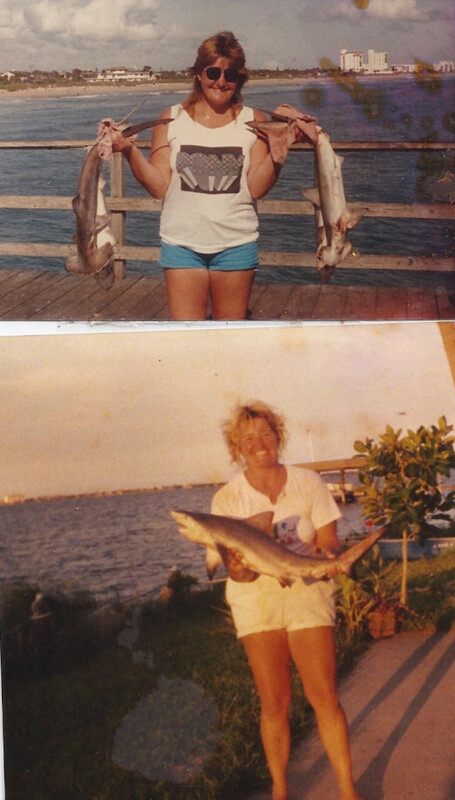 Mullet (were netted by cast net fishing), Gator trout( brown spotted salt water trout), yellow tail Jacks, salt water Catfish, Red Drum, Snook, Flounder and the occasional Stingray were all reeled in from the shores of my property at Palm Bay Florida. No fish was wasted. I caught , cleaned, BBQ and ate everyone of them. I learned to fillet every one of them differently with a set of fishing knives I have honed for over ten years. These were all amazing and exciting fishing days without a doubt. BUT: The main reason people flock to fish the Indian River Lagoon is to hook the Silver Kings of the Shallows... Tarpons. Everything about the Tarpon is major league. They can be as big as you are, with huge red rimmed eyes that stare right at you. They have huge shinny,scales that can range from U.S. quarter size to silver dollars size. The average size anglers catch are from 60 to 75 pounds but the record for Tarpon was off the Florida Keys weighing in at 243 pounds. 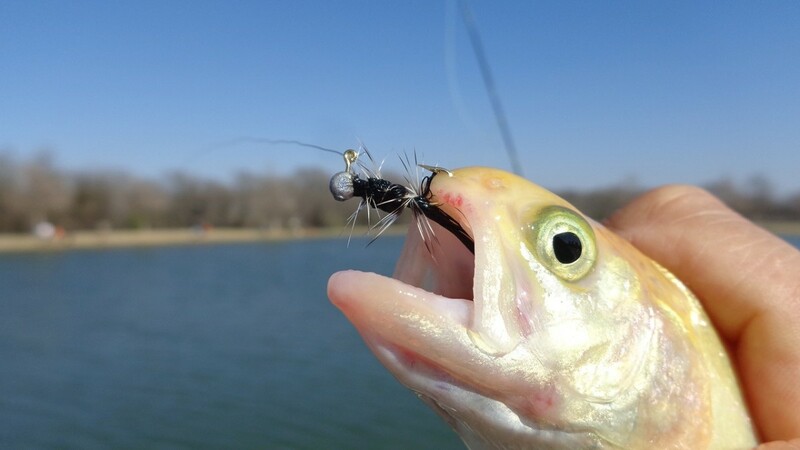 When you hook one of these silver armored Gladiators they take to the air immediately because they have small lungs that allows them to breathe the air or in contaminated and fresh waters where the females usually spawn. They will jump wildly, slamming back to the water tail first ,head first or even flat out. Oh what a fight they give. Then, they take off madly swimming erotically only to jump again in an effort to spit the hook or break the line. I only hooked one of these in my whole ten years but what a day that was. I nailed him on the line, from the dock and jumped off into the water to drag him jumping and pounding the water to the shallow shores of the bay where I lived. I had him on the line for an hour it felt like.You must at all times keep the tip of your fishing pole up because if you lower your pole for one second he will feel the slack and bolt only to snap the line. What a great day. I have no pictures of this Tarpon. My Tarpon was 36 inches long about the same size of the snook pictured above only much wider through the middle. You need to hold a fifty dollar stamp to keep one and no one eats Tarpon. They are all bones and scales. I did take a scale the size of a quarter off of him for a souvenir. It was a hoot to catch this Tarpon but I released him back to the water and smiled when he swam away to be caught by someone else another day. The video below will show you what a Tarpon looks like and shows what it feels like to land one. Yes it is. Thank you movingout. I appreciate your comment. 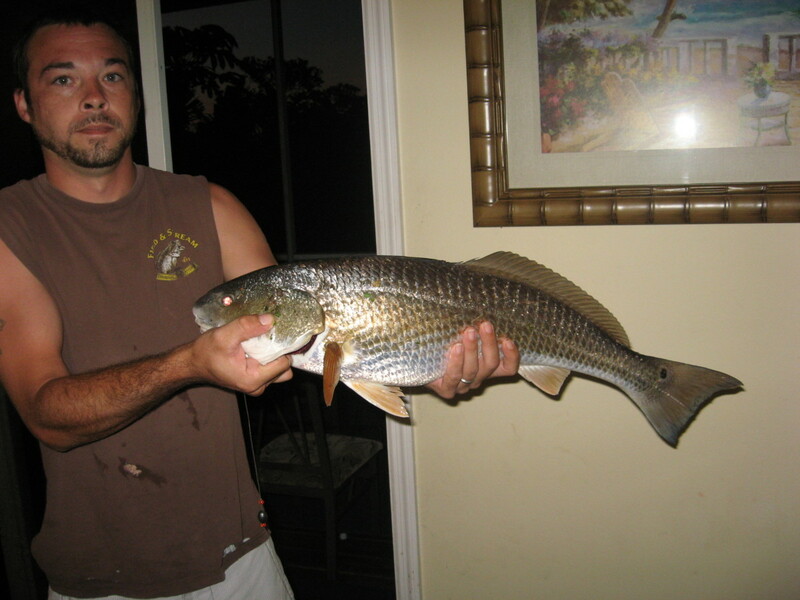 Some of the best inlet and flat fishing areas on the East Coast of Florida! Voted up! I am glad to see that you have a most enjoyable hobby. Your pictures are the best. Always exploring thanks for cracking me up today. I love the worms ran away. I needed a laugh more than you know. Your welcome Shinningirisheyes. Sounds like we had a similar lifestyle. I always enjoy your stories and it makes me tickled pink to hear I brought back great memories of good times with your family. Thank you Glimmer Twin Fan for stopping in. All aboard. I love to fish. These pictures were taken over a ten year period but I fed myself quite good meals with these fish. The Stingray taste like scallops. Wow! You caught some big fish. I don't fish, but I love the water and warm climates. Thanks for taking us on this trip. Oh Suzy - There you go taking me back again. 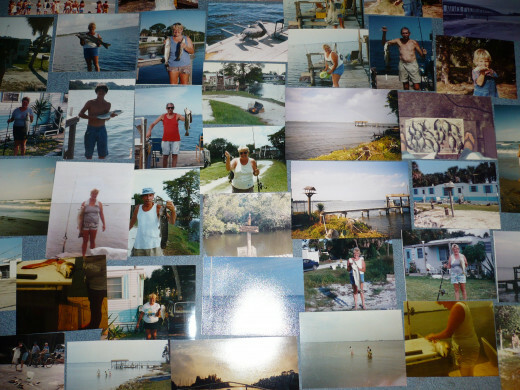 When Dad was alive, he and Mom spent winters at their Florida home. I participated in many wonderful fishing excursion with Dad and his buddies. Although I could not participate because I had no license, I saw amazing sights including some you write about. I still have millions of photos when the guys pulled a shark over the side of the boat. Dad and I would have our coffee in the beautiful Florida morning and watch the pelicans. Florida now holds such special memories for me and I thank you for bringing me there once again.